Santa Cruz County lands have become increasingly popular with outside preservation groups as a source to collect large sums of money from donors nationwide. These groups, headquartered in major urban centers, have expensive overhead, including rents large professional staff, and political lobbyists. In order to survive as an organization, they need to find land throughout the United States that interest major donors. Often there is no connection to the land prior to this effort, and after the land has been preserved the local communities are faced loss of property taxes, increased local law enforcement cost and impacts on roads. 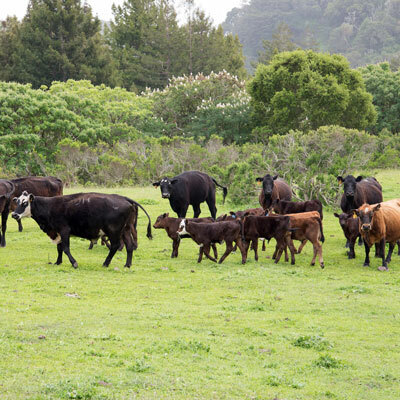 Approximately seventeen years ago a large San Francisco based organization collected millions of dollars from outside interest to preserve the Coast Dairies Property on our north coast. Besides paying for the land, the money collected also helped pay for their expensive overhead. A local non-profit organization was selected by this preservation group to be the recipient of the farm land on Coast Dairies. This was done to help ensure agriculture would be maintained on the property. The rents collected from the growers would be invested back into the property plus help with local farm worker housing, scholarships and other educational programs. The local non-profit group invested ten years of board meetings, preparation and planning to become the stewards of this land as promised. The San Francisco based organization arbitrarily removed this group without any written communication and now the growers are continuing to pay rent that is helping with the overhead of an expensive San Francisco office, not local farm worker housing and education. This breach of good faith is offensive and has left the community feeling deceived.